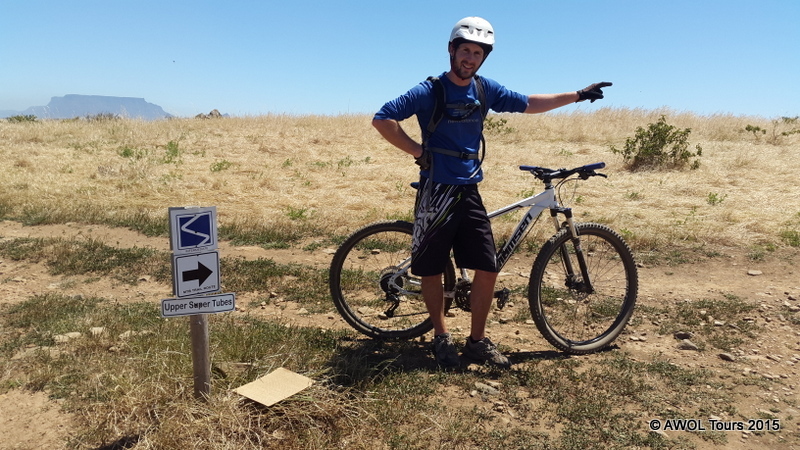 For mountain bikers visiting Cape Town the Durbanville valley is becoming one of the ‘must do’ places to ride. 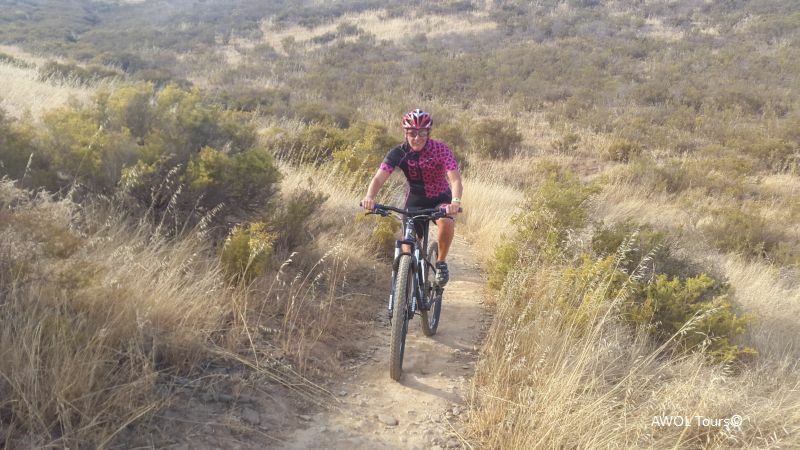 With rolling hills, superb vineyards, quaint coffee shops and over 70 kilometers of flowing single tracks it’s a great choice of AWOL guests who want a half day tour of mountain biking! As my local haunt – Tokai Forest remains closed until March next year, I have been heading north to mountain bike in Durbanville and discovered an endless array of beautifully manicured single track that have been rated as ‘intermediate on the IMBA rating. Admittedly the views aren’t as spectacular as the flat topped Table Mountain or the rugged peaks of Jonkershoek out in Stellenbosch. The rolling hills of Durbanville are lush green in winter and a complete contrast in Summer with the arid wheat lands or renosterveld (most threatened vegetation type in the world). 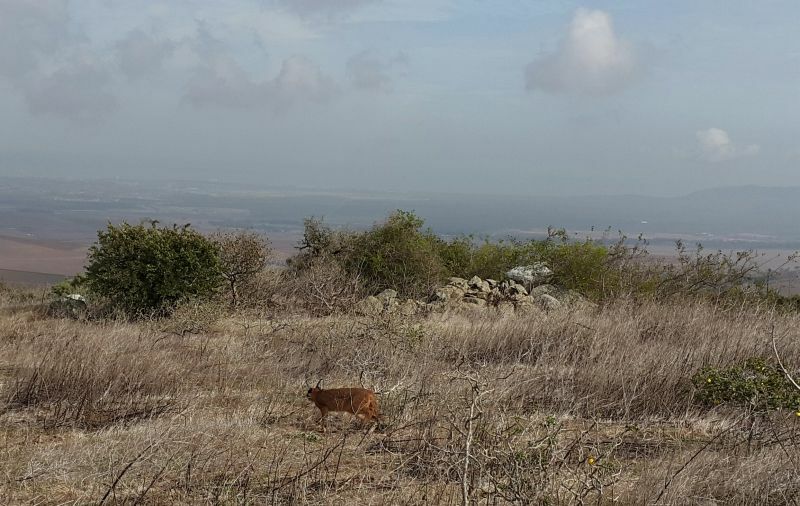 We have however had good wildlife spotting on the rides – rodents, birds of prey, puffadder snakes, porcupine and caracal! 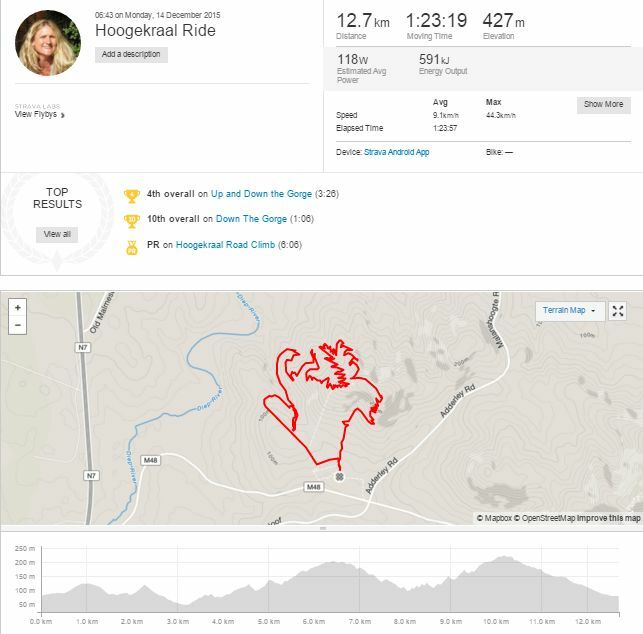 My personal favourite is to start the rides at Hoogekraal with the rollercoaster ride through ‘beware alley’ and the new ‘gorge’ ride before tackling the steady climb up Spykers Hill at 226 meters. For technical riders we have the option of doing another 3.5km loop on the Cobra on a tricky rocky descent. The ‘shake, rattel and roll’ descent will have all riders smiling with glee by the time we get back to the bottom. 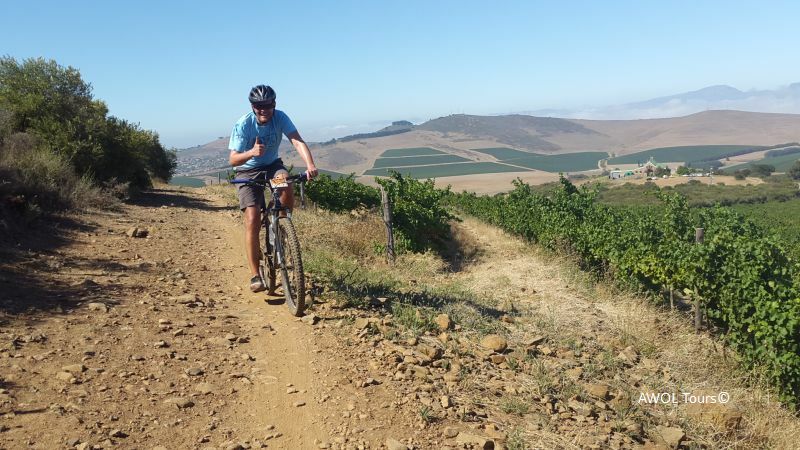 For medium options we can do 22km with only 532 meters of climbing on great green and blue graded single track trails around Bloemendal, D’aria and Hillcrest vineyards. 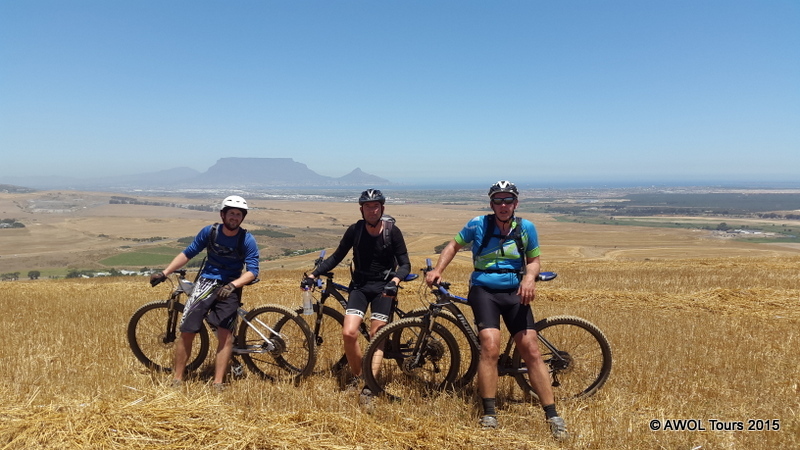 For longer rides, like I recently did with a Canadian blogger we can include Contermanskloof, Meerendal and Bloemendal. 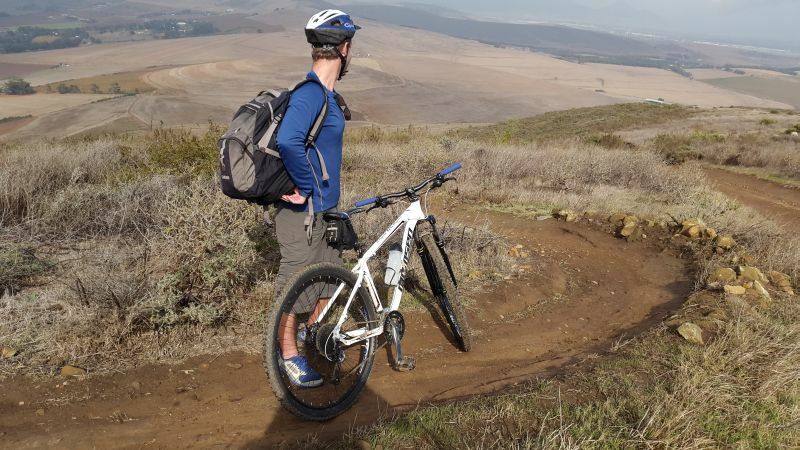 With over 70 kilometers of single tracks in Durbanville there are plenty of options for beginner, intermediate and serious mountain bikers alike. 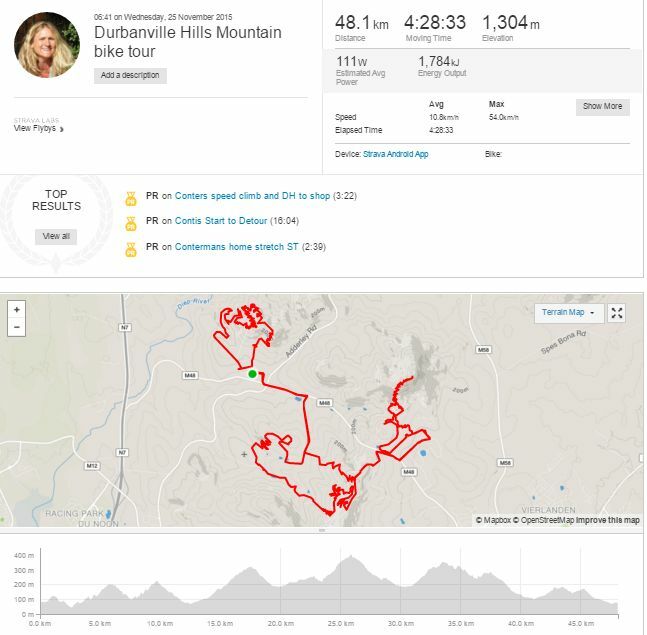 As with all mountain biking a reasonable level of fitness is required to do from 400m to 1500 meters of climbing that is required – after all it is MOUNTAIN biking! To book your private half day guided mountain biking experience book here or email AWOL tours to get more details on how we can personalise a trip for you.